Recycling Works: Are Batteries Recyclable? A battery is an electrochemical device with the ability to convert chemical energy to electrical energy to provide power to electronic devices. Batteries contain heavy metals such as mercury, lead, cadmium, and nickel, which can contaminate the environment when batteries are improperly disposed of. When incinerated, certain metals might be released into the air or can concentrate in the ash produced by the combustion process. There are many sizes of batteries but all batteries fall into one of only two types: Primary and Secondary. Primary batteries include alkaline/manganese, carbon-zinc, mercuric-oxide, zinc-air, silver-oxide, and other types of button batteries. 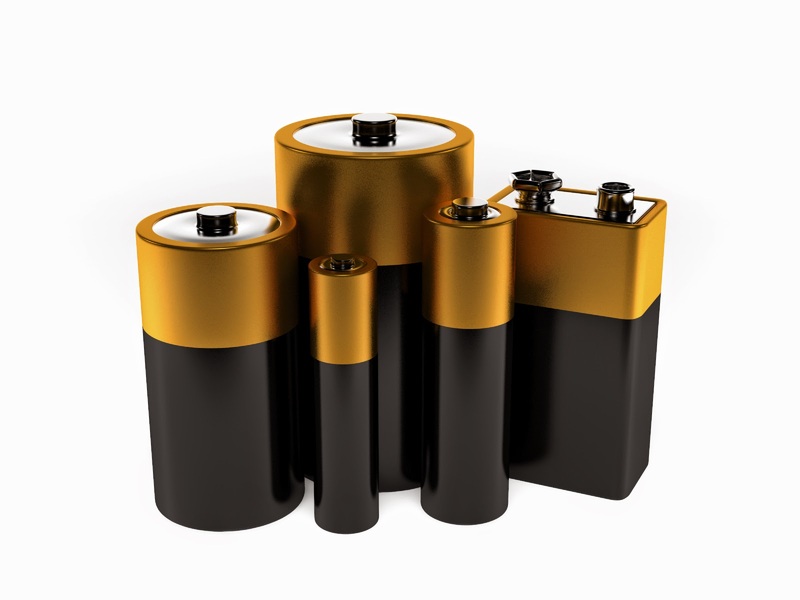 Secondary batteries, also called “rechargeable”, include lead-acid, nickel-cadmium, and possibly nickel-hydrogen. Dry-cell batteries include alkaline and carbon-zinc (9-volt, D, C, AA, AAA), mercuric-oxide (button, some cylindrical and rectangular), silver-oxide and zinc-air (button), and lithium (9-volt, C, AA, coin, button, rechargeable). They power such things as hearing aids, radios, toys, cellular phones, watches, laptop computers, and portable power tools. Although Mercury was phased out of certain types of batteries in conjunction with the "Mercury-Containing and Rechargeable Battery Management Act" passed in 1996, single-use batteries contain both recyclable and hazardous materials so recycling them keeps heavy metals out of landfills and the air. Single-use batteries do not contain heavy metals so throwing smaller amounts of household, dry-cell batteries into your regular waste stream is not illegal, except in California. Larger, wet-cell batteries can be taken to your local Household Hazardous Waste collection. Call your local Solid Waste Management District to find one near you.